В процессе обновления essbase до 11.1.2.4 (c 11.1.2.3.500) столкнулись с несколькими проблемами. Хочу поделиться частью из них. Во-первых, это (вполне закономерно) новый параметр QUERYRESULTLIMIT. Значение по-умолчанию 1,000,000 и этого слишком мало. Параметр ограничивает количество возвращаемых запросом строк. Кажется, что 1,000,000 – это уже очень много и столько данных форма показать не способна. Проблема здесь в том, что это прогноз возвращаемых данных ещё до выполнения запроса. В нашем случае этот прогноз давал неверные оценки (в реальности возвращалось несколько чисел), так что пришлось увеличить значение параметра до 3,000,000. Однако гибридный режим работы в релизе 11.1.2.3.500 поддерживает не все функции. И после вхождения в гибридный режим в случае использования такой функции essbase может из этого режима выйти и дальнейшие вычисления производить классически. Но в лог уже об этом ничего не пишет. Узнали мы об этой особенности работы гибридного режима уже только после перехода на 11.1.2.4 🙂 В этом релизе список функций, поддерживающих гибридный режим, был существенно расширен. Соответственно система переключалась в гибрид и там и оставалась! Запрос продолжал выполняться бесконечно долго (при этом данных он не возвращал – специально сделали такой test case для правильного описания ситуации в Service Request). Технически проблема с запросом была в сочетании факторов: в этом MDX потенциально могло быть до 7,7*10^13 ячеек, а также была простая формула для [Period]. [YearTotal] плюс cross-dimensional зависимости с измерением Account. В блоках данных в действительности данных не было и формула вычислялась в пустое множество. Значение параметра специфично для нашего outline (т.е. правильное значение может подсказать только support), описания его я не нашел, но, насколько я могу понять, это лимиты размерности количества ячеек для переключения между разными режимами обработки (гибрид и классический). Не уверен, что все их можно менять через essbase.cfg. Но для __QPDF_SIMU есть даже специальный параметр __QPDF_TRACE – вероятно, для отладки. Правда правильно воспользоваться им не получилось. В-третьих, в тестинге (уже практически перед установкой в production) обнаружили, что при ad-hoc анализе некоторые данные отображаются некорректно: неверно считаются total либо данные показываются не в тех строках. Причем проявляется это весьма странно: запрос не всегда отрабатывает некорректно, а после определенного набора действий. Оказалось, что всему виной этот скрытый параметр и его пришлось исключить. Завели Bug “DYNAMICALLY CALCULATED MEMBERS ARE RETRIEVING DIFFERENT VALUES BETWEEN REFRESH”, а иерархию пришлось переделывать, убрать функции из проблемных мест. Такая вот история пока что без Happy End. P.S. Большое спасибо слать Игорю Хатько и Георгию Лихолетову, которые раскопали все это. Query optimizers for relational databases have come a long evolutionary way to grow into complicated algorithms for assessing the costs of various options. However, the new generation databases pay almost zero attention to a query cost. What is it, a step back or two steps ahead? Do we even need new cost optimizers for the big data world at all? В ней я пытаюсь рассуждать о стоимостной оптимизации в Oracle, Vertica и SparkSQL. Кажется, в области стоимостной оптимизации предстоит решить ещё множество интересных задач. It’s already an old one story 🙂 More then year ago we was ripe for migrating from SATA to new SSD disk storage. 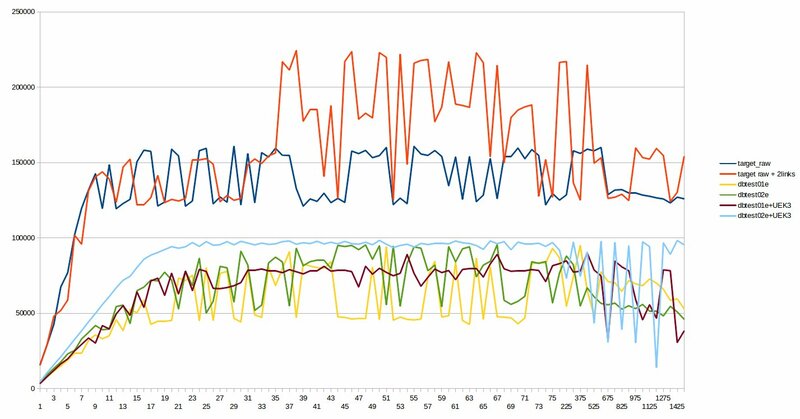 The problem was our infrastructure wasn’t ready – I mean when I launched local performance measure test it showed 180K IOPS (in 8192 blocks) whilst remote (using iSCSI) performance measure test showed only 18K IOPS. 10 times is altogether bad. After some investigation we found the bottleneck was iSCSI target. And since IET hasn’t being developed any more we decided to move out to SCST. Below is our experience with getting the maximum performance using SCST as iSCSI target. We used ORION for testing IO throughout. How to do this has been skilfully explained by Alex Gorbachev. Other tests of course might be very useful too but in my case have added nothing new. Black line – “raw” performance from target host, without iSCSI, just for comparison. Sky Blue – performance with UEK R3, about 100K IOPS. To sum up, we got 100K IOPS from one host over iSCSI – it’s 8 Gb/s, I think for 10 Gb Ethernet it’s very close to the best result. After migration to Oracle Database 12c and OeBS 12.2 we’ve faced a strange problem with searching database patches. I’m used to a simple paradigm: we have our own set of patches. It could be a huge list but if we meet a problem it happens quite rarely and I had a plenty of time to investigate it. But in 12.2 everything has changed. Now we have 2 set of patches. First is the old set that comes from our peculiarities – customizations, hardware and workload. Second is the new set which is recommended by OeBS development team (see Oracle E-Business Suite Release 12.2: Consolidated List of Patches and Technology Bug Fixes (Doc ID 1594274.1) ). 1. Our own list of bugs consists of about 10 items (among them are mainly patches for wrong query results (like 18650065: WRONG RESULTS ON QUERY WITH SUBQUERY USING OR EXISTS ) and RAC-specific issues (like 19124336 – ORA-600 [kjblcwscn:!wr]can occur when handling a stale but valid write completion) ). 2. List of OeBS patches (that should be installed too) from Doc ID 1594274.1 consists of 34 bugs and 22 patches (for 12.1.0.2). 3. In addition to that 4 times a year is released Patch Set Update. It’s highly advisable install it (and in our case I can’t imagine how we would maintain our system without PSU). All would be nothing, but some of the patches conflicts each other or PSU (and some conflicts both). So in order to meet all the requirements I should install PSU, all patches that haven’t been included in PSU, overlay patches that conflict PSU, merge patches that conflict each other and overlay merge patches that conflicts all of them. I’ve made it once – for April 2015 PSU – checked each bug, find all patches and opened a couple of SR for missing ones. So I installed October 2015 PSU, get my oracle inventory, list of patches from set 1. and Doc ID 1147107.1, perform “Analyze for Conflicts” steps, click “Request Patch” and made special query for missing merge overlay patch. I didn’t expect, but my merge patch was ready next day! And it’s all, I just downloaded patches from Download table and installed it in my system. I faced with a quite interesting problem after upgrading Coherence in my Oracle Access Manager cluster. At a first glance, it’s well known issue and relates in a some kind of network problems as described in Doc ID 1530288.1 IpMontor Failed To Verify The Reachability Of Senior Member. The only problem that I absolutely sure there is no firewall between coherence instances and all hosts in a cluster are reachable. Of course I’ve made all recommended tests: java ping test from Doc ID 1936105.1, multicast test from Doc ID 1936452.1, datagram test from 1936575.1. What I tried is to check availability of host oam2 from host oam1. And it worked. The particularly strange was I couldn’t see any network packets (nor icmp nor tcp port 7) from working oam1 server whereas out file was full of error messages “IpMonitor failed to verify the reachability of senior Member”. So OAM_Server seemed not to have sent network packets (I mean IpMonitor, there was a lot of traffic between servers on the other ports) at all. Here you can see that program tried to send network packets to public address from a private address. In that moment it became clear the matter is in our specific network configuration. Let’s see in jdk source code, I mean InetAddress source code and isReachable method implementation. Here if we launch isReachable and pass the parameter NetworkInterface (as it does Coherence) it’ll take the first IPv4address found on interface and uses it as a source address. It works on windows (where interface could have only addresses from one network), but Linux kernel has source routing. We have 2 addresses in one interface: public and private. Jdk took first address it found (I checked, the same behavior is in last jdk 8u60), and in our case it was private address. And tried to send packets in a public network. Such types of network packets normally drop by kernel (see Reverse Path Filtering http://tldp.org/HOWTO/Adv-Routing-HOWTO/lartc.kernel.rpf.html) because they are meaningless. Programs should either do not use source address or use the right public address for send packets. As a workaround I added rule for rewriting source addresses of those packets. I’m not sure whether it’s bug or feature. And also I think our case is quite unique. But it’s once again reminded me the simple truth: if you test something you should do it that way as you do it in a production. P.S. During investigation I realized that OAM Coherence is not synonymous with the Oracle Coherence (see Doc ID 1579874.1 Questions about OAM 11g Coherence Configuration) 🙂 It has their own settings in oam-config.xml, they difference from Oracle Coherence settings. P.P.S. Java could send icmp requests instead of tcp packets. You could read about it at stackoverflow or at stackexchange. We don’t use it. I know it’s an unsupported configuration (and what’s a supported configuration then?) but if you use ACFS as a shared filesystem for OeBS 12.2 you might face with some strange problem by using new adop functionality. ERRORMSG: /opt/acfs/R12.2/fs1/EBSapps/comn/adopclone_appltest01e/bin/adclone.pl did not go through successfully. ERROR: RC-50013: Fatal: Instantiate driver did not complete successfully. There is not enough space on the volume you have specified. Oracle Universal Installer has detected that you currently have 0 MB available on the chosen volume. 750 MB of space is required for the software. There it was recommended to decrease size of NFS-mounted disk from 36 Tb to 2 Tb. The problem is I have 7 Tb ext4 volume where all works great. It looks like ACFS-specific issue. This code should be compiled as a 32-bit application (in a 64 bit mode it works well). ACFS filesystems does not use the inode architecture. ACFS filesystems does not have a pre-allocated inode table. Therefore, “df -i” command returns the number of inodes that are theoretically possible given the space remaining. On ACFS filesystems, the inode table grows dynamically. Any free storage is eligible for inode creation. The number of inodes in my case (4294967296) cannot be stored as unsigned longint. And it is twice more than disk volume size. Now all works fine. There is only one unpleasant feature – 2 Tb limit of disk volume. Hope OeBS team will change their mind about ACFS support someday and we will be able to store all the data in a one volume. It was the spring when we upgraded our IDM system for EBS authentication. Now a few months have passed and all seems to have been working fine so I’d like to share a brief notes about issues we met and a final configuration. I cannot say that there weren’t any problems at all but the vast majority of SR I opened were on OAM. They were mostly related to misconfigurations in oam-config.xml file. Either because of upgrade or because of old errors. All this is our local particularity and not so interesting. 1. It appears that index IDX_JPS_PARENTDN in schema OID_OPSS was replaced by composite index. The old non-unique index was extended by unique key entity_id. This led to that the index grew from 300 to 600 MB. Explain plans also changed. All still works fine for a single client session. 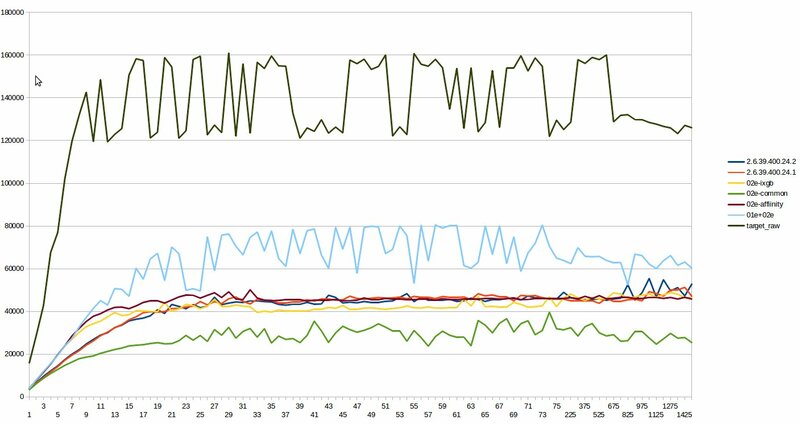 But when clients commenced connect at the same time execution time of search queries increased significantly (because of heavy disk IO) and method “ldapbind” was timing out. I recreated the old index and the majority of problems has gone. 2. Some queries still used the new one (composite) index. After some investigation we noticed too high cost of their explain plans. It was new 12c query re-optimization functionality named “SQL Plan Directives”. Igor Usoltsev wrote about it. We just disabled those SQL Directives. 3. Http GET response significantly increased. For some type of browsers (IE11 for example) it became more than 8K. We terminated SSL/TLS at a proxy side. And proxy (we use nginx) drops large packets by default. Large packets could get from both client and server sites. For nginx we increased buffer sizes (there are several settings, one for client side and other for server). P.S. It would be useful also read this community thread. We haven’t faced with Coherence issues yet, our 3.7.1.1 versions works fine but folks reports that 3.7.1.19 is more stable.